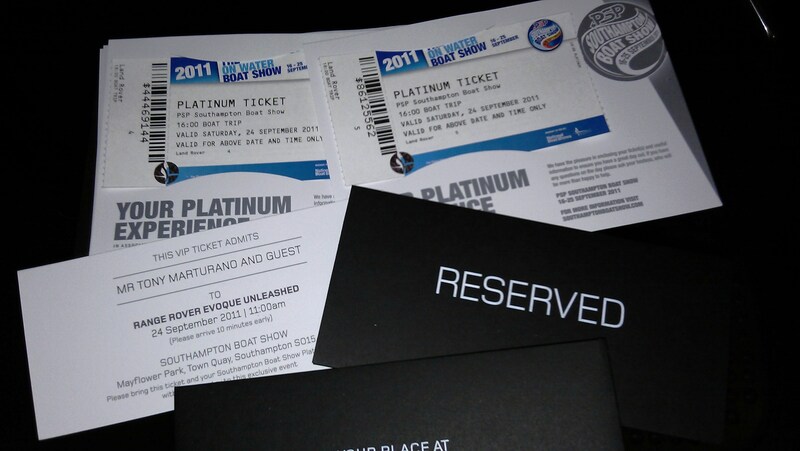 to the Southampton Boat Show next week with Platinum VIP tickets, courtesy of Range Rover, may not appear as momentous but it certainly feels that way for me. My trip to the Southampton Boat Show marks the culmination of a two year journey as I’ll finally be able to climb behind a finished model of the Range Rover Evoque ( a car that I’ve waited for and followed from concept through to production). Not only do my platinum VIP tickets grant me access to the event, generally favoured by affluent boat affectionados, but they’re my key to a series of other events which, I’m not ashamed to say, will pale into insignificance when compared to my invite to take the Evoque for an unsupervised drive through down town Southampton. 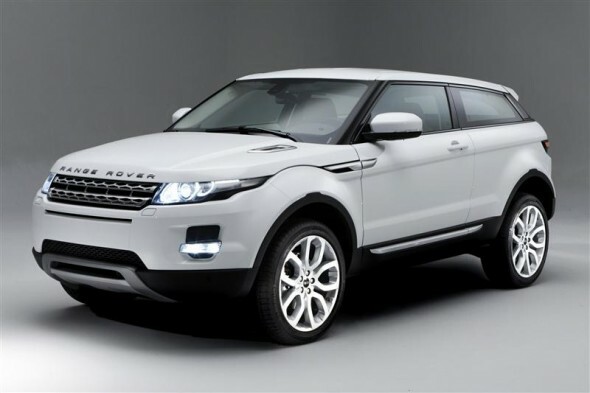 That’s right, after all of these month, I and a friend of my choosing will be ‘unleashed’ with a model of this beautiful car with one of Range Rover’s generous statements, “bring it back when you’re done with it”. I anticipate that this would be never but I guess that’s somewhat fantastical, at least until I put down a deposit for a production model of my own. Will I? Won’t I? 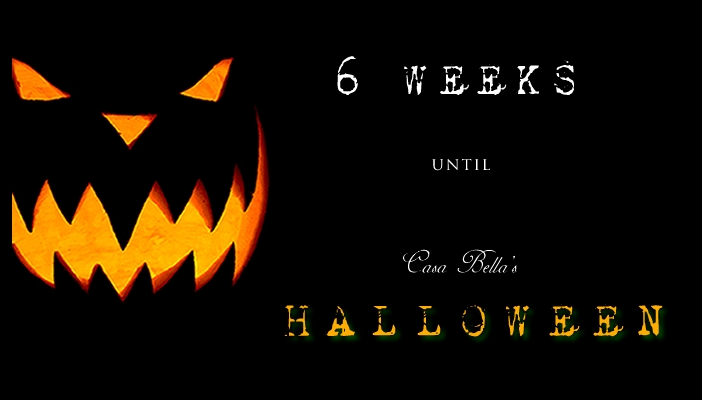 All will be revealed after next week. assessment is going to improve much if I spend my time blogging rather than researching, clicking, paying and assembling one of Casa Bella’s most eccentric dinner party experiences. Oh, if only I could reserve my own container from the US. I guess I’m going to have to do it the hard way! What else is new?